On December 2, 2015, six additional claimants added their causes of action to the pending multidistrict litigation (MDL) involving the blood-thinning drug Xarelto. Xarelto, which is also known rivaroxaban, is a relatively new blood thinning drug touted to offer patients an increased level of convenience as they treat their underlying medical conditions. More specifically, the makers of Xarelto market the drug in direct competition with the traditional blood thinner warfarin – highlighting the decreased need for time-intensive trips to the blood clinic. However, patients across the U.S. are asserting that Xarelto carries an increased risk of unstoppable bleeds, and is not responsive to coagulation antidotes characteristic of warfarin. Moreover, Xarelto plaintiffs contend that the makers of the drug – a group including Janssen Pharmaceuticals and Bayer Health – knew or should have known of its dangers, and failed to warn patients accordingly. The recent complaint was filed by five plaintiffs – all of whom claim some degree of injury directly caused by the use of Xarelto – along with a sixth plaintiff suing on behalf of the estate of one allegedly killed as a result of hemorrhaging caused by Xarelto. According to the details of the complaint, the plaintiffs suffered from issues including gastrointestinal bleeds, intracranial hemorrhaging, and intracerebral hemorrhaging. 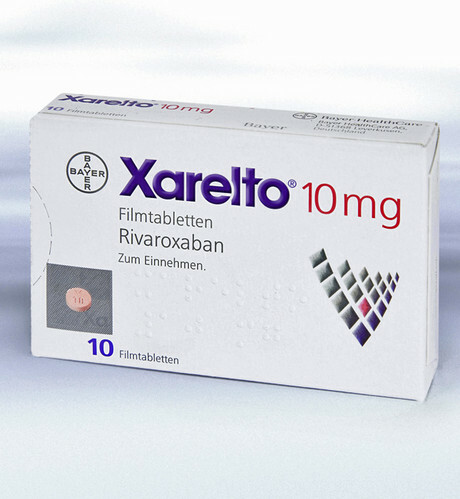 The plaintiffs, on average, took Xarelto for approximately 5 months before the onset of internal bleeding. One plaintiff, however, was prescribed the drug for a matter of days before experiencing a sudden life-threatening hemorrhage. For the five plaintiffs suing on the own behalf, each raises several counts of negligence and product liability against the defendants. Specific to the negligence count, the plaintiffs assert that the defendants acted unreasonably dangerous in the marketing, design, production, and manufacture of Xarelto – and should have taken much greater precautions when promoting such a dangerous product to consumers. Further, the plaintiffs contend that the defendants failed to adequately test the product on its targeted patient demographic, which is primarily patients suffering from pulmonary embolism and deep-vein thrombosis (DVT) – a condition that can cause fatal blood clots. The plaintiffs also contend that the defendants knew about the dangers of Xarelto, yet continued to spend millions of dollars marketing the drug to consumers nonetheless. In their strict products liability count, the plaintiffs categorized Xarelto as “unsafe, defective, and inherently dangerous” in its current form. The Xarelto lawsuit continues with several more counts, including breach of express and implied warranties, fraudulent misrepresentation and concealment, negligent misrepresentation, fraud and deceit and violations of state consumer protection statutes. Lastly, the estate of the deceased plaintiff filed a wrongful death claim, along with a survival action to compensate survivors for the pain and suffering associated with the sudden death of their loved one. 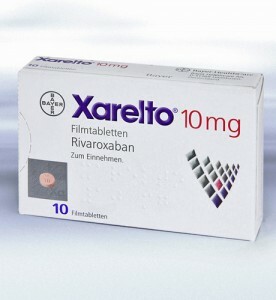 Xarelto was approved by the Food and Drug Administration (FDA) in July, 2011 for the treatment of hip and knee replacement patients who were at an increased risk for blood clot and/or deep-vein thrombosis. In November of that year, the drug was awarded a broader approval for the treatment of patients with non-valvular atrial fibrillation at an increased risk for stroke or systemic embolism. From there, the drug makers spent tens of millions of dollars advertising in medical journals and on-air television advertisements, resulting in global sales topping $2 billion. In June, 2013, the makers of Xarelto received warning from the FDA that their advertisements were “false or misleading.” As well, the FDA reported hundreds of adverse events related to Xarelto use in its first year on the market.